Our Hakko representative, Dave Ford, stopped by Q Source yesterday to shoot some videos and talk about a few Hakko products. First up, Dave gives us an overview of the Hakko FX-951 ESD-Safe Soldering Station. 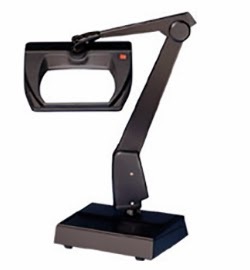 The FX-951 Soldering Station includes impressive features like auto shutoff, sleep mode functionality, low temperature alarm, lockout key card, and it never needs calibration. Learn more about this popular choice for SMT tasks in our "On the Bench" video. To purchase the Hakko FX-951 Soldering Station, please visit QSource.com or contact us via phone (800-966-6020) or email. The FX-951 is part of our 30th Anniversary Partner Promo and from now through March 31, 2014 you'll get an additional 10% OFF the advertised price, FREE shipping, and a FREE tip with your purchase. QSource.com also features a large selection of other Hakko products. Save 33% off the MSRP on the Atrix International 31700C Color Toner & Dust Filter Cartridge for Omega/Green Series Vacuums (0.3 Micron Filter) when you use our FPF013114 Coupon Code. This Featured Product Friday (FPF) promo is valid from today, January 31, 2014 through Sunday, February 2, 2014. Atrix 31700C Color Toner & Dust Filter Cartridges (Q Source SKU: A060-000065) capture dust, dirt, soot, pollen, black toner, and most color toners. 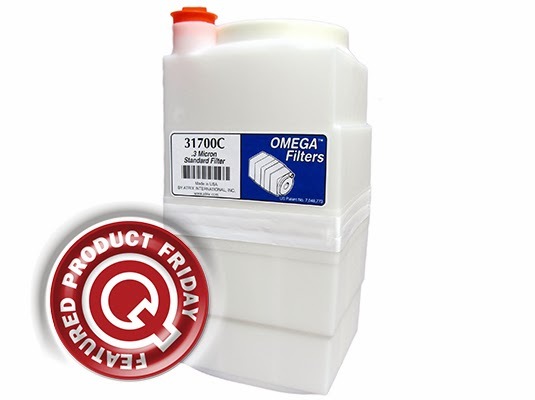 Used with the Omega/Green Series Vacuum Systems these standard filters are 99.97% efficient at 0.3 microns. Regularly listed at $13.50, but with our FPF code savings you’ll get it for just $8.99 (a savings of $4.51). While this is a 3-day limited-time price, the coupon is unlimited. Use the code as many times as you like while it is valid—and please feel free to share the code with your friends & colleagues, too. Please note: This promo is valid only at QSource.com. For further questions about Featured Product Friday, please visit our Web site, call us (800-966-6020), or send us an email. Here's the first of a three-part interview series focusing on the three Hakko products (FX-951 Soldering Station, FR-801 Hot Air Rework System, and the FM-203 Dual-Port Soldering System) that are part of our 30th Anniversary Partner Promo. 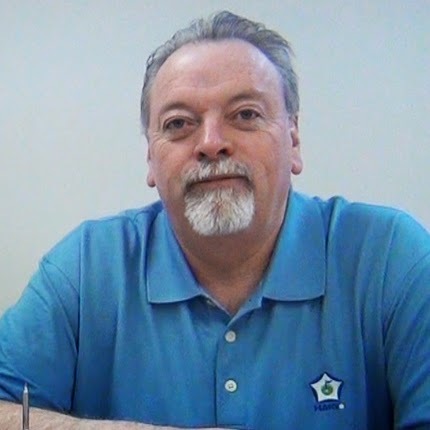 Our Hakko rep, Dave Ford, provides expert answers about what makes these systems stand out. Q Source: Hi, Dave. What should our readers know about the Hakko FX-951? 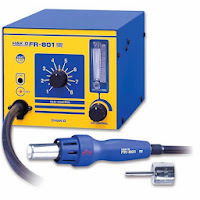 Dave Ford: The FX-951 is the next step beyond conventional soldering stations in that, instead of using a replaceable tip over a semi-permanent heater as in the Hakko FX-888D, the FX-951 uses Hakko's advanced T-15 Series Composite Heater/Tip Cartridges with an FM-2027 Connector Handpiece. Q Source: You said the FX-951 is the next step beyond conventional soldering stations, can you elaborate on that? Dave Ford: OK, let's look at conventional soldering stations like the FX-888D. 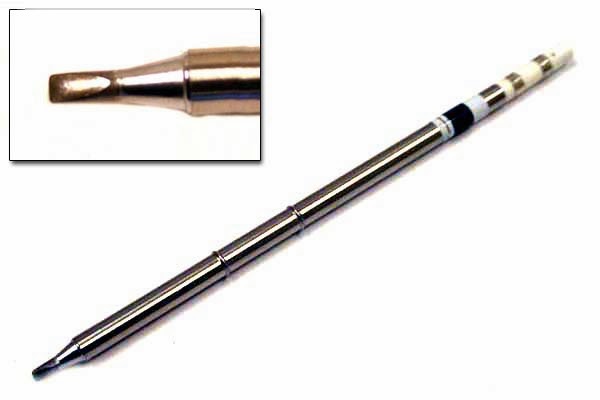 The use of soldering pencils with replaceable tips and semi-permanent heaters has been the workhorse of the "through-hole" era. For those assemblies where components had wire leads that went through a hole in a circuit board, pads were larger and connections were accomplished relatively slowly when compared with the fine surface mount connections we see today. A small selection of tips was adequate to achieve acceptable connections in most cases. Q Source: So what has changed and how does the FX-951 address those changes? Dave Ford: Well, surface mount connections have much lower thermal mass and may be much smaller and more complex than earlier through-hole connections. They are much more susceptible to bridging, and heat from the connection being worked on travels much more readily to other connections along the same trace, which could compromise work previously completed on the board. is included with both FX-951 promos. Q Source: And how does the FM-2027 using the T-15 Tips help prevent this? Dave Ford: Power and speed. When soldering in these situations, the goal is to get on and off the connection as quickly as possible, while observing the soldering rules that apply to avoid thermal damage. By having less metal in the tip, better monitoring, management of thermal loss, and lightning-fast recovery the FM-2027/T-15 Tips combo provides the controlled heat needed to make the proper connection in the least amount of time. "Set temperature overshoot" is also potentially bad. Hakko's composite tip technology eliminates this potential. 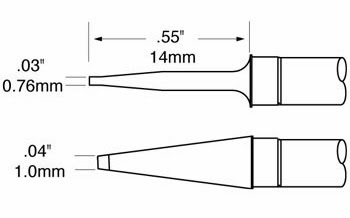 Q Source: Can you tell us about the selection of T-15 Tip styles? Dave Ford: Well first off there are many different types of connections on surface mount parts. The tip selection offers the ability to solder connections individually or in mass such as with Hakko's QFP, tunnel, and bar style tips. The rest of the collection offers tips for special circumstances, ergonomics, and just plain personal preference…different things work better for different hands. Q Source: What are the costs of using the FX-951? 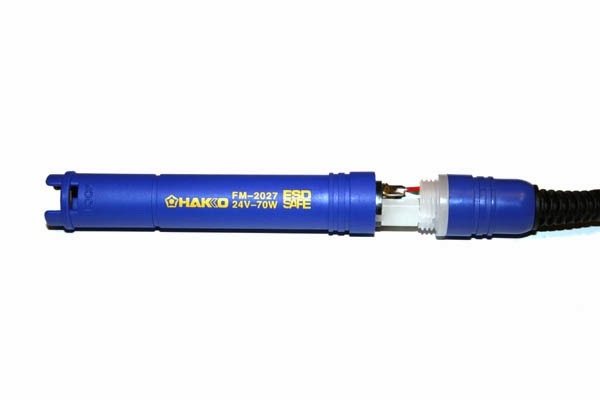 Dave Ford: The FX-951, while being a SMT professional assembly workhorse, is also Hakko's economical introduction to composite tip technology. Because Hakko manufactures their own tips they have control of the plating process, resulting in long lasting, relatively inexpensive soldering tips. The FX-951 presents a low cost to buy on Day One and a low cost to own based on Hakko's reputation for long tip life and equipment durability. Q Source: Is there anything else you'd like to tell us about the FX-951 Soldering Station? Q Source: Excellent information. Thanks very much for your time, Dave. We appreciate you sharing your expert Hakko knowledge with our readers. Dave Ford: No problem. Thank you. Remember, the FX-951 is packed with user and process features and is the popular choice for SMT manufacturing facilities. 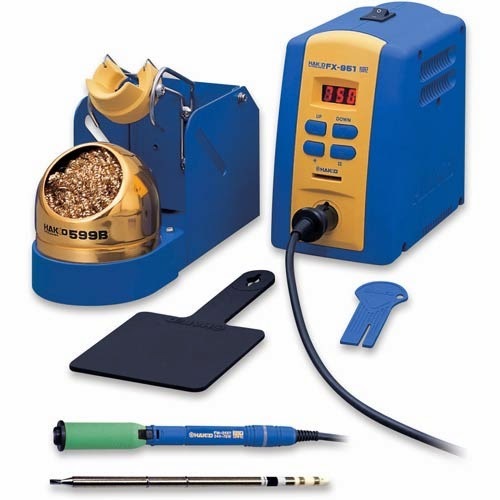 To place an order for the Hakko FX-951 Soldering Station please visit 30th Anniversary Partner Promo Page at QSource.com or contact us via phone (800-966-6020) or email. Please check back soon for the remaining two parts of this interview series, which will look at the FR-801 Hot Air Rework System and the FM-203 Dual-Port Soldering System. “The Social Rewind,” is a weekly blog digest of what we thought were the most interesting social media posts of the previous week. Q Source follows some really fascinating companies and individuals on Twitter, Facebook & Google+ and we want to share the best of what they have to say. 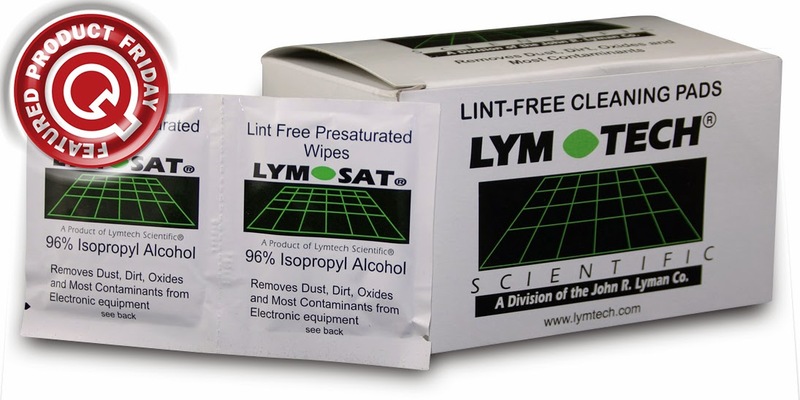 Post by Q Source, Inc.
Save 36% off the MSRP on the Essentra Porous Technologies 6-C43 - LYMSAT® Wipes (100% Polyester/96% IPA/4% DI, 4" x 3", 60 Wipes/Box) when you use our FPF012414 Coupon Code. This Featured Product Friday (FPF) promo is valid from today, January 24, 2014 through Sunday, January 26, 2014. Essentra Porous Technologies (formerly Lymtech Scientific) 6-C43 LYMSAT Wipes (60 Wipes/Box - Q Source SKU: L013-000052) are Class 100/10 compatible and perfect for general cleaning, field service, maintenance & more. Regularly listed at $14.50, but with our FPF code savings you’ll get it for just $9.25 (a savings of $5.25). While this is a 3-day limited-time price, the coupon is unlimited. Use the code as many times as you like while it is valid—and please feel free to share the code with your friends & colleagues, too. Please note: This promo is valid only at QSource.com. 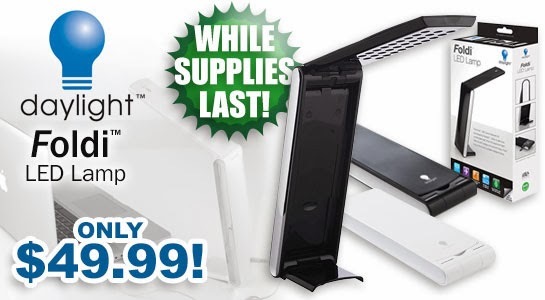 You may remember the Daylight Foldi LED Lamp from Daylight's $49.99 Gift Giver promo. We thought this was such a great price that we’ve decided to extend that promo price while our supplies last. 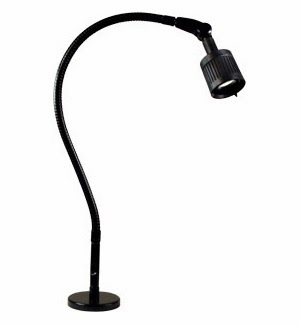 Save big on the sleek and compact, but powerful and bright, Daylight Foldi LED Task Lamp featuring 30 LEDs that provide clear, glare-free light. Use the Foldi for hobbies, reading, laptop use, etc. and when you’re finished it quickly folds up for simple storage. The Daylight Foldi is available in black or white and ships with batteries, USB charging cable, and a protective bag. This $49.99 special price expires when our stock is depleted. For more information, or to place a non-Internet order, please contact us via phone (800-966-6020) or email. Looking for a great offer on Hakko's popular FX-888D Digital Soldering Station? Look no further than QSource.com's FREE Shipping & FREE Sponge promotion. This limited time offer gets you the FX888D-23BY Soldering Station, the FX-8801 Soldering Iron, a T18-D16 Soldering Iron Tip, the FH800-01BY Iron Holder, the A1561 Tip Cleaning Wire, and two (one FREE) A1559 cleaning sponges at our competitive low price + FREE Shipping. We have the FX-888D in stock and ready to ship. Just add it to your cart and the FREE Shipping offer will be applied automatically. For detailed information about the Hakko FX-888D, please refer to the blog, video, and photo posts listed below in the "Related Articles" section. For additional questions, please contact us and we'll be happy to assist you. 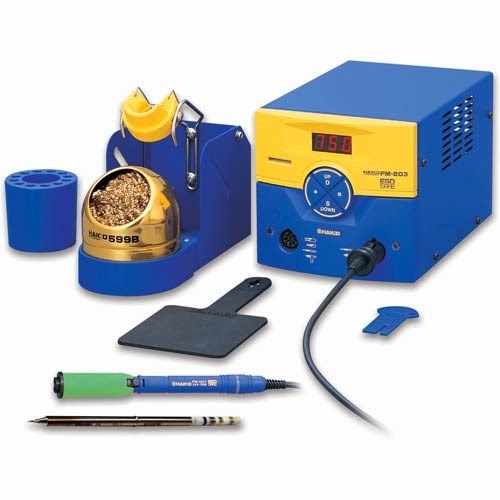 To place an order for the Hakko FX-888D Digital Soldering Station please visit QSource.com or contact us via phone (800-966-6020) or email. For other Hakko products please see our Hakko Department. Metcal announced recently that their TFP Series Tips will have an extended lead time due to the "F" Series Temperature Heater failing to meet temperature specifications. Metcal has informed us that they are not expecting the replacement heaters until the end of March, 2014. The Q Source Resource will keep you updated as we hear new information. For more information about Metcal’s TFP Series Tips, TFP alternatives, or other Metcal products please visit QSource.com, call us at 800-966-6020, or email us. If there's a product or topic you'd like to see The Q Source Resource write about please let us know. We'd also appreciate if you share this blog post with your friends and colleagues via the social media links below. If you have questions or comments about anything on The Q Source Resource please leave us a message in the comments section. 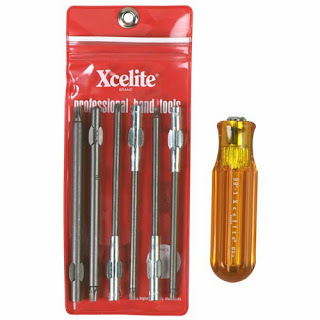 Our selection offers you the option of building your own set of tools with individual parts (like blades, handles, reamers, screwdrivers & nutdrivers) or purchasing a ready-made Xcelite kit with a selection of high-quality tools for a number of applications. Starting out in 1921 as a small metal-working company, Xcelite has more than 90 years of experience manufacturing top-of-the-line tools that have become the favorites of service technicians and the electronics service industry. For more information about, or to place an order for, Xcelite products please visit our Xcelite Department. You may also contact us at 800-966-6020, email, or at QSource.com. The Social Rewind, is a weekly blog digest of what we thought were the most interesting social media posts of the previous week. Q Source follows some really fascinating companies and individuals on Twitter, Facebook & Google+ and we want to share the best of what they have to say. Save 13% off the MSRP on the Brady M21-750-595-WT B-595 Indoor/Outdoor Vinyl Label Roll for BMP21/LABPAL™/ID PAL™ Label Printers (0.75" x 21' - Black on White) when you use our FPF011014 Coupon Code. This Featured Product Friday (FPF) promo is valid from today, January 10, 2014 through Sunday, January 12, 2014. 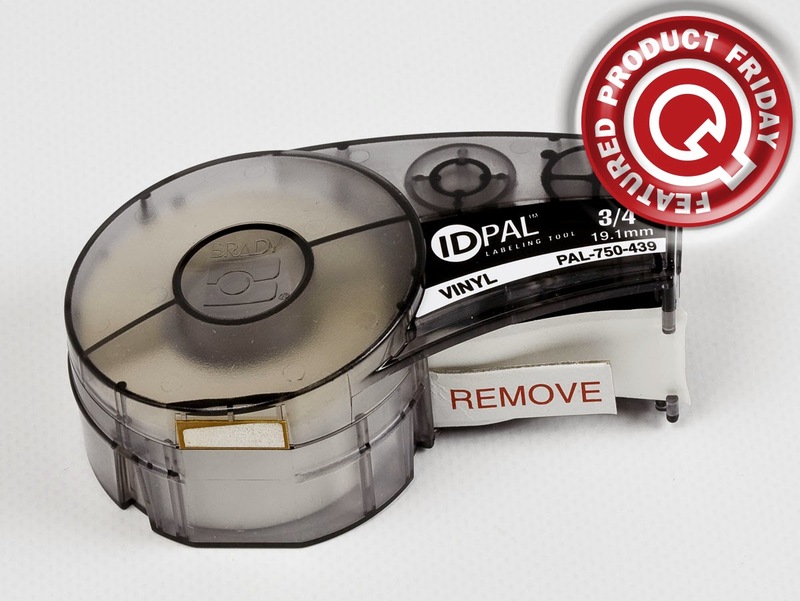 The Brady M21-750-595-WT B-595 Label Roll (Q Source SKU: B001-001292) features black ink on white indoor/outdoor vinyl labels. Regularly listed at $25.39, but with our FPF code savings you'll get it for just $22.15. While this is a 3-day limited-time price, the coupon is unlimited. Use the code as many times as you like while it is valid—and please feel free to share the code with your friends & colleagues, too. Please note: This promo is valid only at QSource.com. Each week, we'll promote our FPF selection on The Q Source Resource, via our email newsletter, and all over our social media accounts. We encourage our valued customers to read those resources and to visit QSource.com on a regular basis for the latest FPF offers (look out for our FPF logo). Please tell your friends & colleagues about Featured Product Friday. Responding to positive customer feedback, Vision Engineering has extended the promo pricing on their Mantis Compact System (originally their Summer Promo Sale) through March 31, 2014. 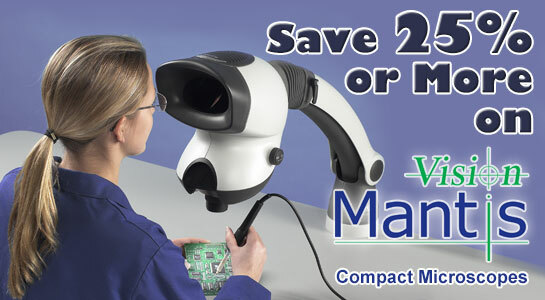 This great deal offers savings of 25% or more on Vision's Mantis Compact Visual Inspection Microscopes. The Mantis Compact line helps you boost productivity with its eyepieceless technology, which reduces user fatigue and provides greater head and body freedom. This versatile, low-magnification 3D microscope works perfectly as a magnification/inspection tool for rework or quality control tasks. Whether you start with the Vision Engineering MCH-001 Mantis Compact system head (at just $755.00) and add on the lenses and stand you want, or go with one of the pre-packaged complete systems, you'll experience greater efficiency and low operating costs. Visit our Mantis Compact Promo page to choose from a selection of Vision Engineering Mantis Compact microscopes, lenses, universal stand, and complete visual inspection systems. You can also check out other high-quality Vision Engineering items on our product page. For more information about this promo and the Mantis Compact product please refer to the blog posts listed below. To place an order for an eligible Vision Engineering Mantis Compact product, please contact us at 800-966-6020, email, or at QSource.com. If there's a product or topic you'd like to see The Q Source Resource write about please let us know. We'd also appreciate if you share this blog post with your friends and colleagues via the social media links below. If you have questions or comments about Vision Engineering products please leave us a message in the comments section. The Social Rewind for January 6, 2014 – Happy New Year! 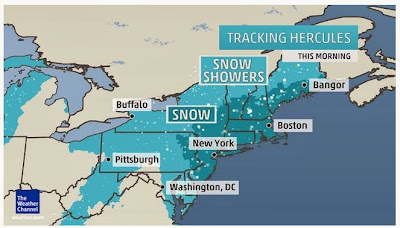 Q Source’s office will be closed today due to the effects of Winter Storm Hercules. You may contact us via email or at 800-966-6020. Questions and inquiries will be responded to as soon as possible. Our office will re-open on Monday morning (1/6/13) at 8:30 a.m.
QSource.com is available 24/7 for product information and orders. You may also submit a Request for Quote via our online form. Thank you for your patience and we’re sorry for any inconvenience this closure may cause. If you are in the path of this storm please stay safe and warm. Save 46% off the MSRP on the Techspray 1610-100DSP Isopropyl Alcohol Wipes 100-Wipe Canister when you use our FPF010314 Coupon Code. This Featured Product Friday (FPF) promo is valid from today, January 03, 2014 through Sunday, January 05, 2014. 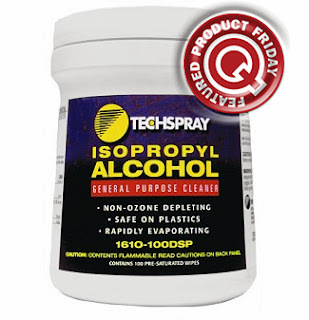 The Techspray 1610-100DSP Isopropyl Alcohol Wipes Canister (Q Source SKU: T001-000228) contains 100 pre-saturated, low-linting, 99.8% pure anhydrous isopropyl alcohol wipes. Regularly listed at $27.20, but with our FPF code savings you’ll get it for just $11.99. While this is a 3-day limited-time price, the coupon is unlimited. Use the code as many times as you like while it is valid — and please feel free to share the code with your friends & colleagues, too. Please note: This promo is valid only at QSource.com. Ah, 1984. Apple's Macintosh debuts. Bananarama and Ghostbusters fill the pop charts. A little old lady asks, "Where's the Beef?" And out on Long Island, NY, a new company, Q Electronics, is formed. A lot has changed in those 30 years (including our name), but Q Source's goal has remained the same: To serve our customers as a Solution Provider representing product brands of the highest quality and reliability to best address their objectives. Yes, it's our 30th Anniversary! And we're celebrating 2014 with our exclusive, quarterly Partner Promos: A series of discounts, special offers, and giveaways to celebrate our strong relationships with manufacturers we've worked with from the beginning. First up, our Partner Promo Version 1 offers great savings and more on a selection of Hakko products. As part of our Partner Promo, this soldering station is available as either the Hakko FX-951 Soldering Station with T15-D24 Chisel Soldering Tip or the FX-951 Soldering Station with T15-I Conical Soldering Tip. Both packages receive an additional 10% OFF savings, FREE shipping, and the corresponding FREE tip. Our special FM-203 package is available as either the Hakko FM-203 Dual Port Soldering System with FM2027-03 Handpiece & T15-D24 Chisel Soldering Tip or the FM-203 Dual Port Soldering System with FM2027-03 Handpiece & T15-I Conical Soldering Tip. As with the FX-951, these packages receive an additional 10% OFF savings, FREE shipping, and the corresponding FREE tip. 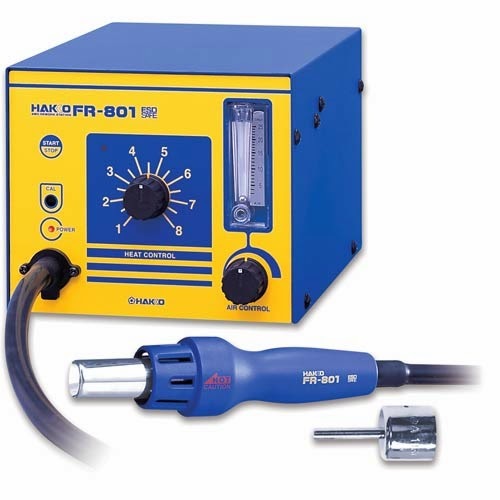 Our FR801-11 package is available as the Hakko FR-801 Hot Air Rework System with A1130 Nozzle. This special offer also receives an additional 10% OFF, FREE shipping, and the FREE A1130 Nozzle. To take advantage of this exclusive Partner Promo, please use the Coupon Code: Hakko2014. Savings will be applied automatically when a qualifying item is added to your shopping cart. 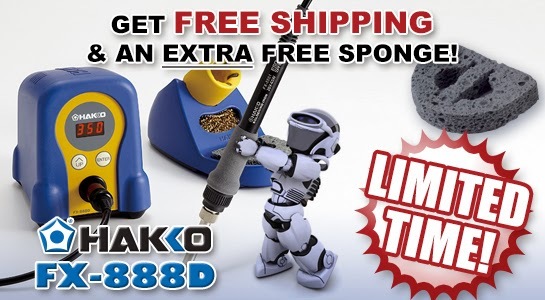 FREE shipping and extra 10% OFF apply to qualifying Hakko Partner Promo items only. Our Partner Promo Version 1 is valid January 1, 2014 through March 31 2014. 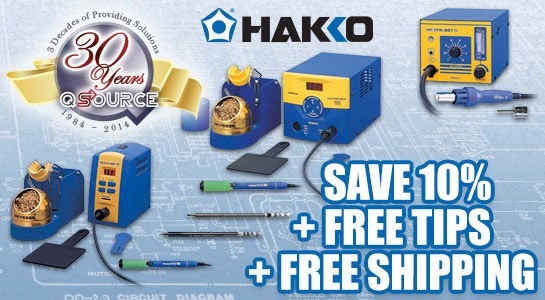 To learn more about, or to place an order for, any of these high-quality Hakko products please visit our Partner Promo Version 1 page at QSource.com. For other related products, please visit our Hakko Department. You may also contact us via phone (800-966-6020) or email.